At David Upchurch Real Estate, we have the most experienced Buyer’s Agents in the area. 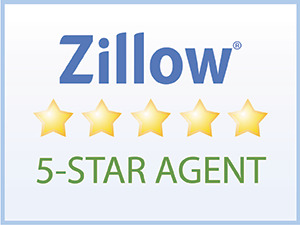 Our Agents are trained to not only help home buyers find their dream home, but to maximize their buying power. Our Buyer’s Agents are not generalists, like many agents. They are specifically trained to be Buyer Specialists. Our Buyer’s Agents know the market inside and out. They have the inside scoop on the best deals in town and access to a wealth of innovative incentive programs to help their clients get the most out of their buying experience. 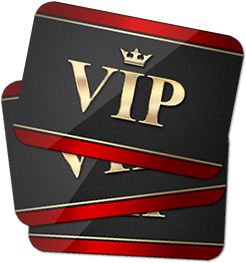 For more details on our VIP Buyer’s Programs, check out the list below. Be sure to navigate through our website for instant access to all of our information and resources. Check out our testimonial page to hear it directly from those who matter the most, our clients! ASK ABOUT OUR "VIP BUYER PROGRAM"
Our team believes in our ability to save buyers money on the purchase of their new home. We guarantee it in writing. 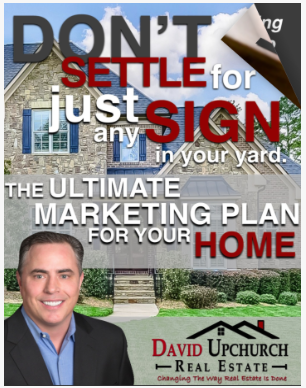 When you buy a home with David Upchurch Real Estate we want to make sure that you are 100% satisfied with your purchase. If you decide you are not completely satisfied within the first 12 months in your new home, we will list it and sell it for free, waiving the listing side of the commission! Your new home will come with a FREE Home Warranty. If the seller does not provide it, we will! This will ensure peace of mind and a stress-free transition to your new home. When you purchase a home through our VIP Buyer Program and use our preferred home inspector you will receive a FREE Termite inspection. Ready to upgrade to a new home? Trade up with David Upchurch Real Estate. When you buy a home through us and list your current home with us, we guarantee your current home will sell in 59 days. If it doesn’t, we’ll sell it for FREE! Our Home Hunters Service gives you a backstage pass to the MLS. You will have the ability to see all homes for sale based on your own search criteria! This service puts you in position to act quickly on some of the best deals in the market. Get access to motivated sellers who are looking to sell their homes because they are in foreclosure, are an absentee owner, or have had their home on the market for more than 6 months. These homes represent great bargains and we get you access to them. Our team has sold thousands of homes. We use our years of real estate experience to get you the best price, terms and conditions on your home purchase. In most cases, we can even get the seller to pay some of your closing costs. Our in-house mortgage affiliate has the experience to get you a loan program that meets your financial needs. They are skilled in creative financing and have access to the best rates and terms. A Performance Guarantee backs all of these services. If you are not completely satisfied with the job we're doing, you can cancel the Exclusive Buyer Agency Agreement at anytime prior to an offer being made. *VIP Buyers Program Conditions & Limitations: You must sign an Exclusive Buyer Agency Agreement and the VIP Buyer Addendum before you look at the second home with a representative of the team. The Free Home Warranty applies to a standard, customary residential service contract from a residential service company to warrant the repair and replacement of certain items and mechanical systems in your home. This company will provide coverage that is typical of that generally provided to buyers of existing homes in the specific market for your home. Love it or leave it program, if you are not satisfied with the home within 12 months of closing and you want to sell and purchase another home and we represent you in that purchase. We will list and sell the selling home and not charge you the seller side of the commission. You are still responsible for the 3% to the buyer's agent at time of closing. Our Firm must receive a 3% in commission as Buyers Agent. Buyer must conduct a buyer consultation in the office with buyer's agent. Any commission Rebate will be placed on the CD at closing. Buyer understands that any rebates given in the State of North Carolina and or South Carolina must be in the form of closing costs and must be lender approved and be documented on the CD. NO money can be rebated back outside the CD.